My favorite. Unfortunately they wont be celebrating 70 year's so I don't think we will see it next year. I was kind of hoping they would do special liveries for the American side of the Team as well. 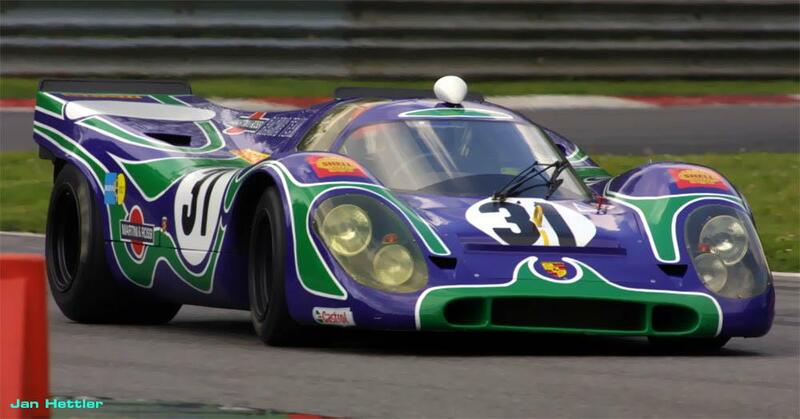 Brumos and Sunoco (for example) livery would have been nice as a hat's off to the teams that have competed on that side of the pond and have contributed to Porsche's racing success over the years. #117 Team75 Bernhard (Pro) - Timo Bernhard, Earl Bamber, Laurens Vanthoor. #911 Manthey (Pro) - Dirk Werner, Romain Dumas, Frédéric Makowiecki. #540 Black Swan (Pro-Am) - Jeroen Bleekemolen, Marc Lieb, Tim Pappas, Marc Miller. Last edited by airbusA346; 5 Jul 2018 at 19:53. I went to the race, the car looks great in person, the diffuser is the big difference between 991.1. Also got my attention that the car almost make no sound when compared to the GT3s Cup... really quiet. Don't know if it was too muffled on purpose. It still had the flat-6 sound but you couldn't hear it coming as it happens with the Cups. I've several more up-close pictures of the car that I haven't included in the gallery, if you're interested in a certain part of it let me know and I'll upload it. Last edited by kaseo88; 1 Aug 2018 at 13:15. Looks like he got a nice slipstream from the Ligier and especially the Ferrari. Probably partly explains the big difference between 1st and 2nd in GTE-Pro qualifying.